The New York Times published a piece about how Jimmy Fallon had sinned by doing a playful interview with president Trump a while back. As the result of Fallon’s transgression, he’s seen a significant decline in ratings. Apparently, there is only one thing he should’ve done; excoriate the man. Better yet, pull out a pistol and shoot him, in an effort to stop the new Hitler in his tracks. But, Fallon didn’t. Instead, he joked with Trump. “My God! Jimmy Fallon should lose everything to atone!’’ seemed the prime mantra of The New York Time’s readers. The letters section of the old gray lady was filled with heated anti-Trump rhetoric, about how America was doing great while Obama was in power. But Trump spoiled it all—and now, we’re all going to hell. I mean, what about White supremacy? It’s everywhere, even if it’s not visible to the naked eye or discernible by any of the other senses. However, if you put on a pair progressive-colored glasses, the truth will be revealed. Let me say, I am in awe of how ridiculous most of this is. I am also in awe how many people assume that their beliefs constitute evidence, based on their deep feelings of discontent. Do I really need to say that feelings are feelings, and evidence of nothing? Except, their highly subjective feelings? And, if they weren’t, whoever felt differently, could make the same case. What about suicide bombers? Are their intuitions true because they have deep convictions? it takes feelings, deep feelings—convictions of all sorts—when committing mass murder against men, women, and children. No. I’m sorry. Your feelings are meaningless as a standard of evidence. Furthermore, actual evidence isn’t reading only those things you agree with, while maybe, occasionally, skimming the opposition viewpoint. 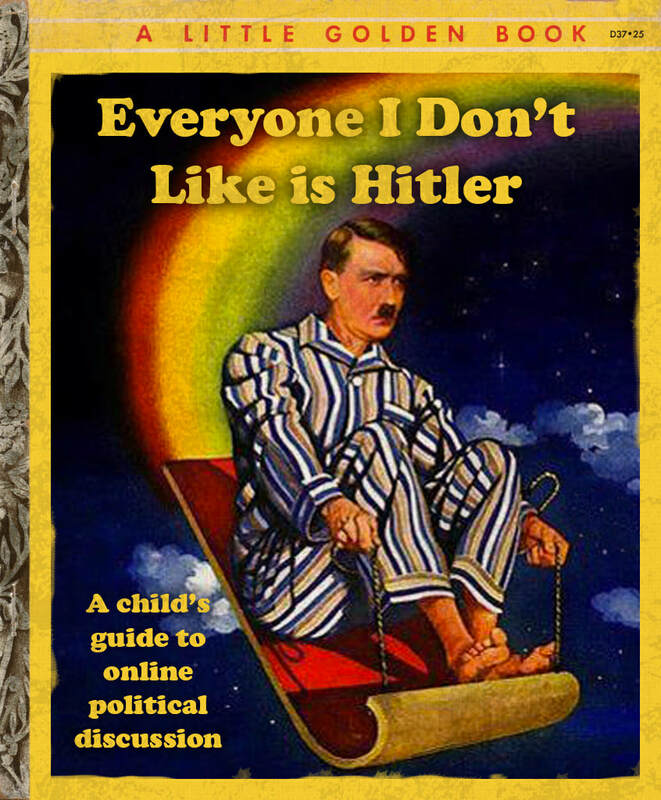 But, remember, be sure not to linger too long, when reading opposing points of view, lest you become infected with the new Hitler’s, Hitler-like rhetoric. As I stated previously; “Man! This is dumb!” Worse yet, it is dangerously dumb. Which, let's face it, is the worst kind of dumb. Convictions die hard, however. Two global wars and an endless supply of smaller wars over the last hundred years make that abundantly clear. Meanwhile, murderous political and economic systems like communism are staging a big comeback, especially on college campuses. Free speech is under attack on those same college campuses. Much of Europe and Canada are following suit, with a range of speech codes and hate speech laws that have recently been enacted. They expand as quickly as any new disenfranchised groups can be found. And, finally, every last bit of this, is coming from the political left. All of it!